Long drives along beach-side roads, a car filled with your closest friends, windows rolled down, the hot wind cools the sweat that pours from every inch of your body. If there ever was a perfect soundtrack for summer, Radlands by the Mystery Jets would be it. The four indie rockers from Eel Pie Island in England are bound to impress with their latest album and its complimentary graphic novel, ‘The Ballad of Emmerson Lonestar’. Having been recorded between Texas and London, there is a distinct American, country-like influence over Radlands. The new environment and cultural differences would have, no doubt, played a vital role in the construction of the album. Radlands opens to the sounds of crackling fire and soft, delicate guitar. It is peaceful, slow when Blaine Harrison’s echoic voice takes over, but it soon turns into an exciting lyrical journey of running away, with fast-paced guitar and drums to match. The song has you longing for freedom, and alternates between calm and electrifying melodies – a technique that forms the basis for many songs on the album. Sound wise, the Mystery Jets have drawn much of their influence from musicians such as Hall and Oates, Syd Barrett, and Pink Floyd. Radlands is a compilation of all of those artists combined, as well as the Mystery Jets’ own unique sound. Beautiful acoustics, a war of powerful drums, country melodies, and gospel choirs are all trademarks of Radlands. Certain songs are a little haunting, while others make you want to jump up and dance. A few songs that stood out were ‘Someone Purer’, ‘Greatest Hits’, and ‘The Hale Bop’, all for their interesting story lines and catchy instrumentals that were made to be rewound and played over and over. Instead of following other bands down the common road of relationship themes, the Mystery Jets have opted towards the path of self-discovery, loss, and change. Every song tells a story – from the subtle, sultry encounter between two individuals, to forceful nuns attempting to convert band members, the album is like one long, exciting roadtrip that reflects their experiences of travelling, writing and recording inAmerica. The accompanying graphic novel, available as a digital e-book, is a three-part modern Western, telling the story of an infatuated country singer in search of his childhood sweetheart. Frontman Blaine Harrison explains that the character of Emmerson Lonestar acts as a mouthpiece for the album. You’d think that mixing soft, country tunes with a few hints of dance would be catastrophic, but Radlands molds perfectly, with not one song sounding out of place. An enjoyable album as a whole, and although quite mellow compared with their previous upbeat and energetic albums, the new songs are still undeniably their own. 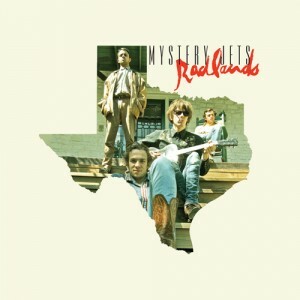 This entry was posted in Music and tagged album review, radlands, the mystery jets. Bookmark the permalink.